My great grandmother, Julia Ann Randolph (Born ca 1840) married my great grandfather Pleasant Lee Satterfield. Originally from South Carolina, I think, they lived in Tennessee near Chattanooga. 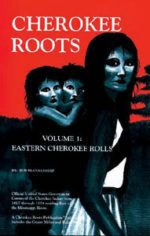 Their son, Will Satterfield, my grandfather, said he had Cherokee lineage, through the Randolphs. Does anyone have information about Randolph family genealogy?